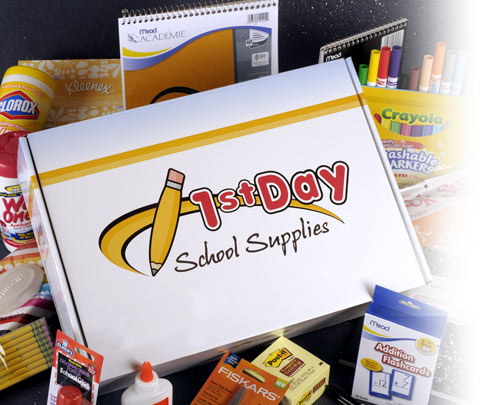 ORDER SCHOOL SUPPLIES FOR NEXT YEAR TODAY – DEADLINE TO PLACE ORDERS WITH 1ST DAY SCHOOL SUPPLIES IS JUNE 30TH! With the summer break officially underway, this blog post will be the last blog of this school year. It has been a pleasure to share the news from our District with you on a weekly basis. Regular weekly blog posts will resume in mid-August, as we prepare for the start of the 2012-2013 school year. A Note For Next Year: When you receive the Emergency Contact Card(s) for your student(s) prior to the start of next school year, please be sure to carefully review that your e-mail address is correct. With the start of the new school year, we will extract a new parent e-mail distribution list for current students from our database for blog notifications and other periodic building-specific information. Thank you in advance for ensuring we have your current and correct e-mail address. Best wishes to all for a safe and relaxing summer break! Congratulations to the 270 members of the Class of 2012! Parents, family and friends gathered at Cleveland State’s Wolstein Center last Thursday evening to celebrate Commencement. 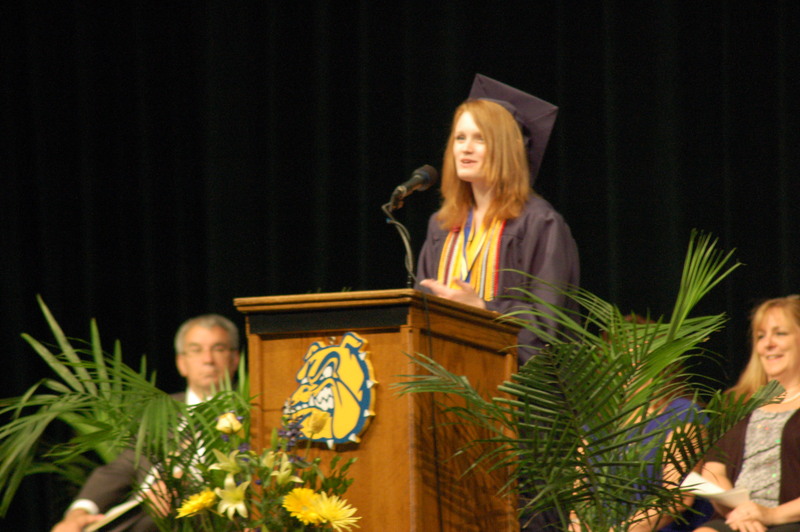 Valedictorian Pamela Keller and Salutatorian/Class of 2012 President Olivia Henton were featured speakers, along with School Board President Jim Weisbarth, Superintendent Dr. Todd Hoadley and Principal Dr. Robert Hill. For more photos of this event, please click HERE. 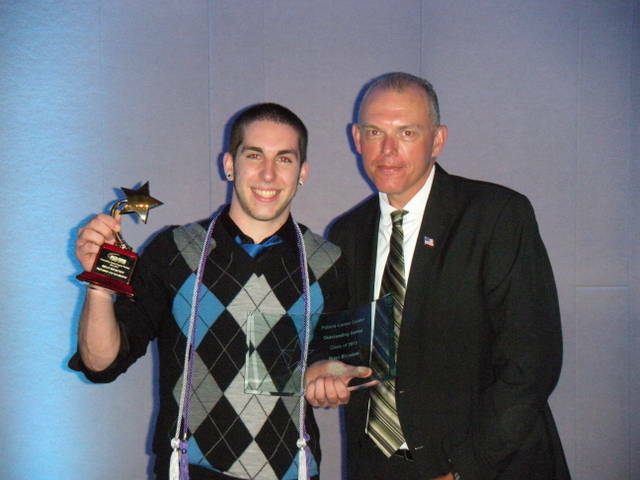 Brian Bildstein, Precision CNC Machining, from Olmsted Falls High School was named one of two Outstanding Seniors for the Polaris Class of 2012 during the 36th Annual Polaris Senior Awards Ceremony held at Grace Church on May 29, 2012. Congratulations Brian! OFMA End of the Year BBQ: TONIGHT at 7pm at East River Park. Thanks to the generous support of more than 70 local individuals, families, businesses and organizations who contributed to the Olmsted Falls Local Scholarship Program this year, $121,548.62 in scholarship funds were awarded to students from the Class of 2012. Seventy-one local sponsors awarded a total of 241 scholarships to graduating seniors this year. To view the complete list of Local Scholarship Awards for the Class of 2012, please click HERE. Students in the Class of 2012 also earned an impressive collection of College/University and other scholarships this year totaling approximately $1,390,100 in non-local scholarships. To review a list of students who were awarded College/University and other scholarships this year, please click HERE. Congratulations to all of our scholarship award recipients from the Class of 2011! Best of luck to you all! Congratulations and best wishes to all of our Bulldog retirees. Picture (L to R): Nancy Franklin, Janice Henry, Kathy Wood, Sharon Black and Joyce Boddy. Not pictured: Katie Campbell, Diane Drespling and Marlene Wilhelm. 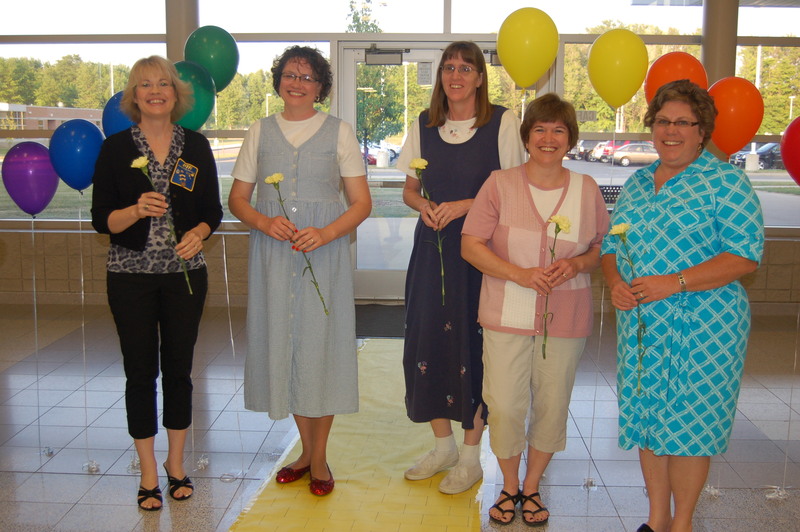 Olmsted Falls School District bids farewell to eight dedicated staff members retiring this year. Their combined service to Olmsted Falls Schools totals 151 years! Retirees were recognized by their buildings/departments as well as this morning during the District’s Annual Records Day Breakfast for Staff. On behalf of the Olmsted Falls Schools and the Olmsted communities, we extend our heartfelt appreciation to each of this year’s retirees for their commitment to the education and well-being of our children. These valuable individuals, and their impact on the District, will be greatly missed. Congratulations to each of them, and best wishes for a happy, healthy retirement! Assistant wrestling coach for the Olmsted Falls Wrestling program, Bryce Burkhard, has been hired to replace twenty – seven year veteran head coach Bill McGrain. 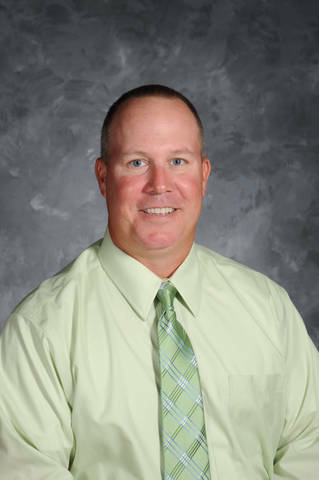 A 1996 graduate of Olmsted Falls High School, Burkhard has been one of McGrain’s top assistants since 2006. A tremendous wrestling standout in his own right at Olmsted Falls, Burkhard knows the success of the wrestling program both as a former wrestler and as a coach. Burkhard teaches sixth grade science at Olmsted Falls Middle School and resides in Brunswick with his wife Courtney, and two children Camden (6) and Addison (5). Olmsted Falls Kiwanis Club President Mr. Monte Cox (center) congratulates this year’s Kiwanis Employee of the Year winners (L to R): Middle School Special Education Paraprofessional Mrs. Marie Uhl, Bus Garage Secretary Mrs. Jan Holecko, Middle School Science Teacher Mrs. Kathy Dean and Early Childhood Center Preschool Teacher Mrs. Elaine Atkinson. Staff members are nominated annually by fellow colleagues through a written nomination process. Nominations are reviewed and selected by a special committee of Kiwanis members. 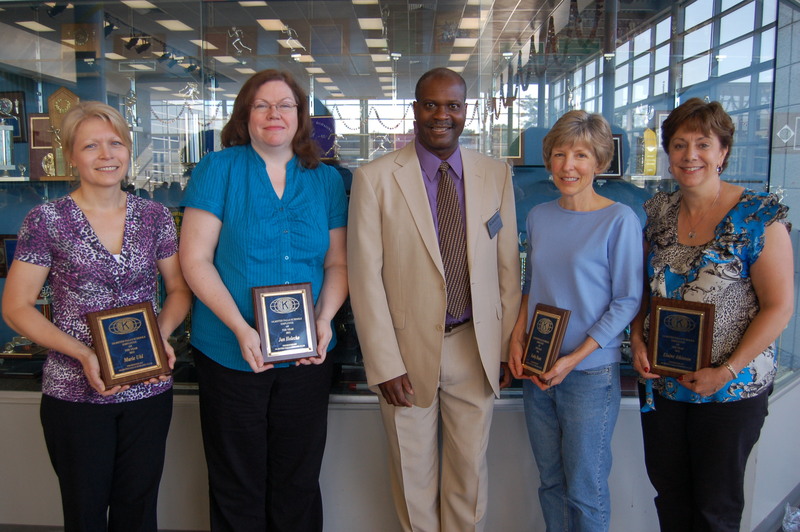 Congratulations to the 2012 Employees of the Year, and thank you to the Kiwanis Club for their continued support of the Olmsted educational community. 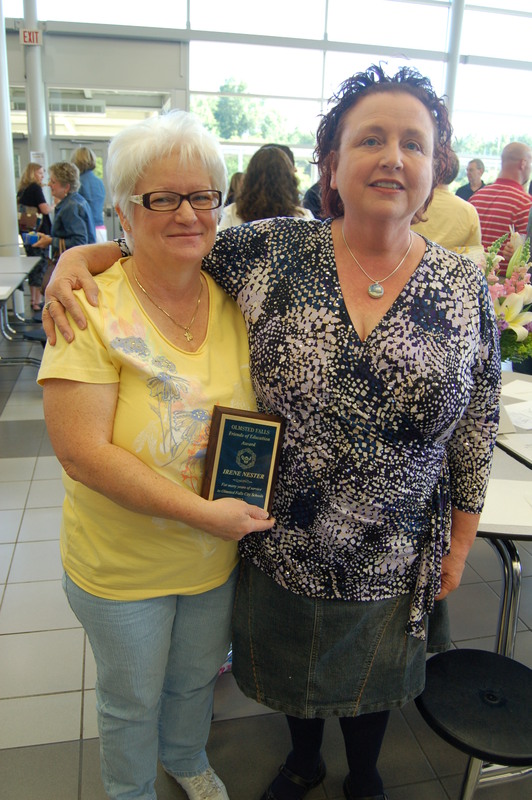 “Friends of Education” Award Winner Irene Nester with Falls-Lenox/ECC Art Teacher Mrs. Victoria McConnell-Paul. 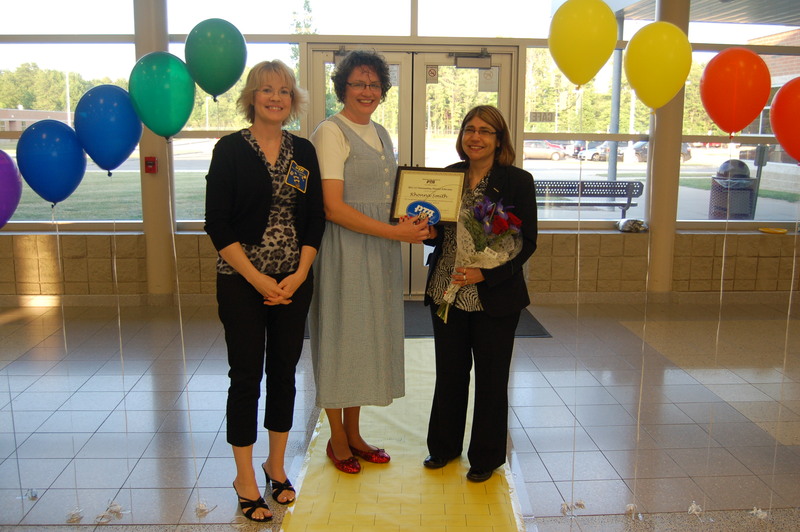 Congratulations to volunteer Irene Nester on receiving this year’s “Friends of Education Award” presented by the Olmsted Falls Education Association. Irene was honored at this morning’s Records Day breakfast for the countless hours of time and effort she invests in assisting with art classes at both Falls-Lenox and the Early Childhood Center. Irene’s volunteer efforts include assisting with prepping art projects for upload to the on-line art gallery, Artsonia. She is an invaluable resource whose efforts are much appreciated! Congratulations and much gratitude to Irene Nester! Congratulations to PTA member Amy Hanratty for receiving this year’s PTA Volunteer of the Year Award at the annual PTA Volunteer Celebration and Installation Dinner recently held at Olmsted Falls Intermediate School. 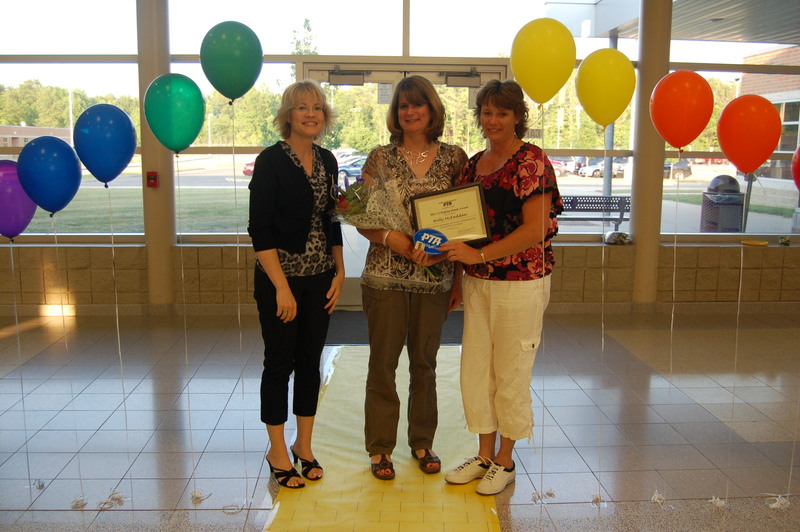 Mrs. Hanratty was nominated for this year’s honor by the PTA unit at Olmsted Falls High School. Congratulations Amy and thank you for your continuing commitment to the students of Olmsted Falls Schools. Kudos also goes out to the other Volunteer of the Year Award nominees: Beth Louis nominated by OECPTA; Patty Voisinet nominated by Falls-Lenox/ECC PTA; Donna McKee nominated by OFIS PTA; and Claudia Ferrini nominated by OFMS PTA. The impact each of you have on our students, our schools and our community is truly invaluable. Thank you to this year’s nominees and ALL of our PTA members throughout the District! Congratulations also to Falls-Lenox Primary School Intervention Specialist Mrs. Rhonna Smith on being named PTA Educator of the Year for her ongoing dedication to the Parent Teacher Association and her daily commitment to students. In addition to her daily work with students at Falls-Lenox, Mrs. Smith also serves as the advisor/coach for the award-winning, state champion OFHS Academic Team. Finally, our heartfelt congratulations is extended to Ohio PTA Helping Hands Award winner Holly McFadden, who was also recognized at this year’s PTA Volunteer Dinner! Mrs. McFadden, a Bulldog grad herself, is the parent of two current Bulldog students, has been active in multiple PTA units, and also currently serves as President of the Olmsted Falls Alumni Association. She truly wears many hats and is always available to lend a helping hand! Thank you to each of these award recipients and all of our PTA volunteers for your unending work on behalf of the students and families of the Olmsted Falls School System! Congratulations to all of the new PTA officers for the upcoming 2012-2013 school year. 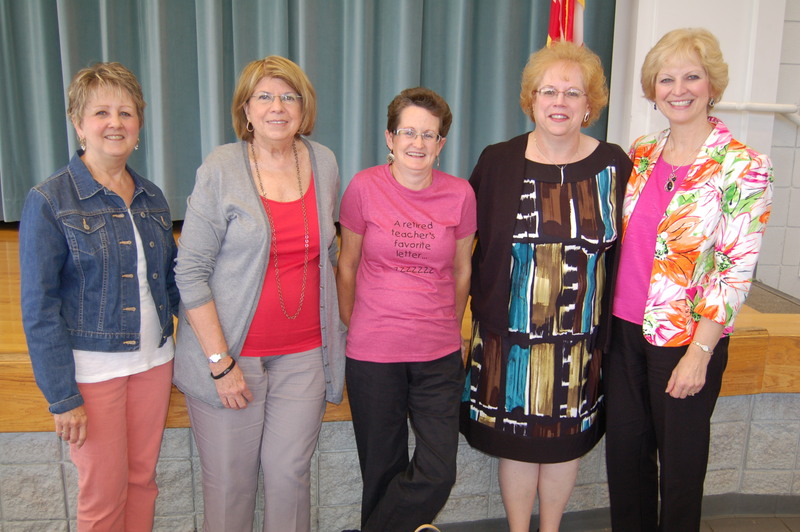 The formal induction of next year’s officers for all units took place at the annual PTA Volunteer Dinner. The Olmsted Falls PTA Presidents for 2012-2013 include (pictured from L to R): Rebecca Gawsyszawski (PTA Council President); Sandra Graham (OFIS PTA President); Gayle Boesken (OFHS PTA President); Ann Simon (OFMS PTA President) and Holly Neumann (Falls-Lenox/ECC PTA President). Not pictured: Sandy Price (OECPTA President). Kindergarten students from the ECC prepared for their move to Falls-Lenox next year with a special field trip to their new school on May 30th. The visit was very successful! Students and their teachers received a building tour, a classroom visit, and even some playground time. It was great to have them at Falls-Lenox; the faculty and staff are looking forward to seeing them in the fall! To view photos from this special visit, please click HERE. Congratulations to current Olmsted Falls Principal Dr. Hill on being named as the new superintendent of Firelands Local Schools in South Amherst, OH. Dr. Hill will begin in his new position for the coming 2012-2013 school year. 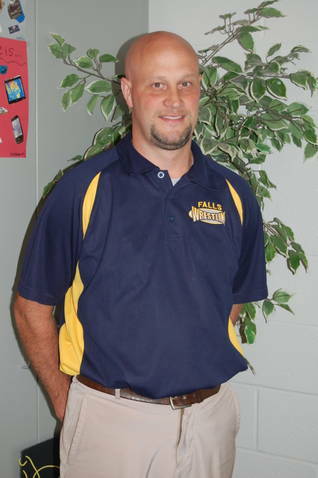 Dr. Hill has been at the helm of Olmsted Falls High School since the start of the 2008-2009 school year, and has been an outstanding member of the Olmsted Falls School District team. We thank him for his contributions here in Bulldog country and wish him well in his new position! To read about Dr. Hill’s new position in The Chronicle-Telegram, please click HERE. To read about Dr. Hill’s new position in The Morning Journal, please click HERE. The search to fill the principal position at Olmsted Falls High School is already underway. The position has been posted and applications will be reviewed to select top candidates to participate in the interview process. Candidates will meet with three separate interview groups comprised of: 1) OFHS Faculty/Staff of OFHS, 2) Administration, and 3) Members of the Olmsted Community. OFHS Counselor Mrs. Sherry Davis will be leaving her position at Olmsted Falls High School to relocate with her family to the Estes Park, Colorado area. Both Mrs. Davis and her husband are originally from Colorado; Mrs. Davis’s parents still reside in the Denver area, so they will be close to family with this exciting move. 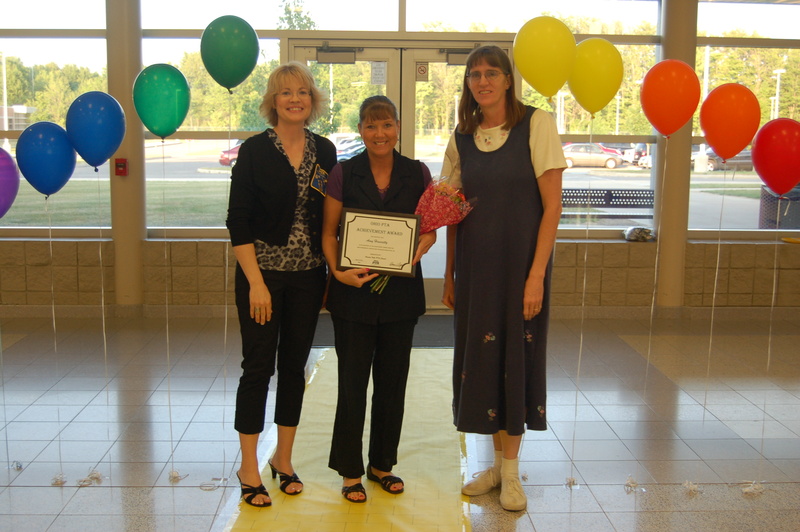 Mrs. Davis has been a fixture at Olmsted Falls High School for the past 15 years. She was hired in August of 1997 to teach Home Economics, which she taught here for 12 years. 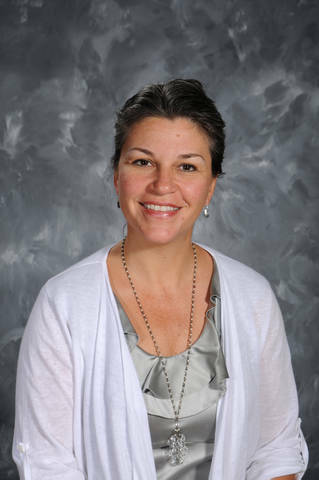 Beginning with the 2009-2010 school year, Mrs. Davis moved into the position of School Counselor, where she has continued to have an incredibly positive impact on students for the past three years. 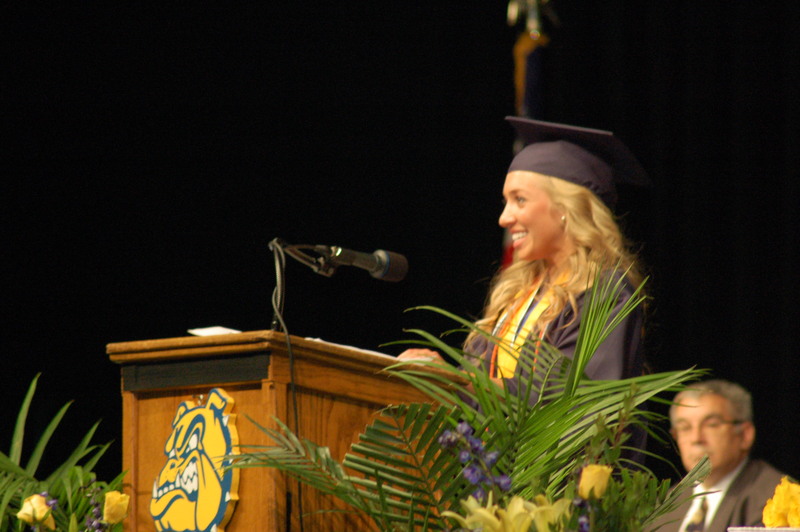 Mrs. Davis has expressed how much she has enjoyed her time here in Olmsted Falls. She also says she is confident that her students will remain in good hands with the amazing staff and teachers at Olmsted Falls High School. We thank Mrs. Davis for her contributions to Olmsted Falls High School, and wish her well in this next chapter of her life! Congratulations to OFMS Math Teacher Ms. Sarah Reisner and OFIS 5th Grade Teacher Mr. Rick Vormelker on being selected to participate in a special invitation-only session at the Ohio Educators Connect for Success Conference TO BE HELD June 28th in Columbus, OH. These two teachers were selected as a result of their records of consistently achieving above expected growth with students based on the new value-added information. Ms. Reisner and Mr. Vormelker will have an opportunity to connect with other highly effective teachers from throughout Ohio and to learn about new professional learning opportunities based on Battelle for Kids’ research with highly effective educators. Congratulations again to Ms. Reisner and Mr. Vormelker. 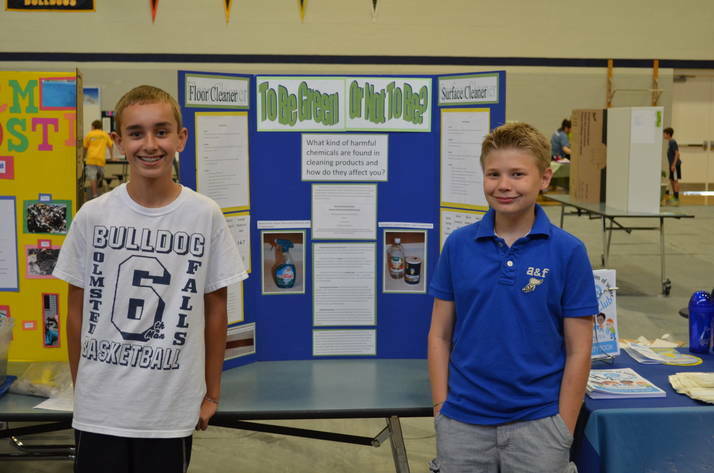 Olmsted Falls School District is proud to have you represent us in Columbus this summer! 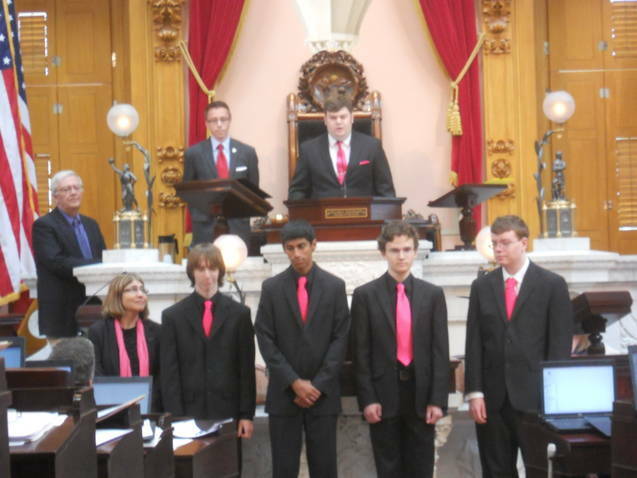 Congratulations to the Academic Team who was honored recently at the Ohio House of Representatives. On May 23rd, the team was presented with a Resolution congratulating them on their State OAC Championship. DID YOU KNOW? 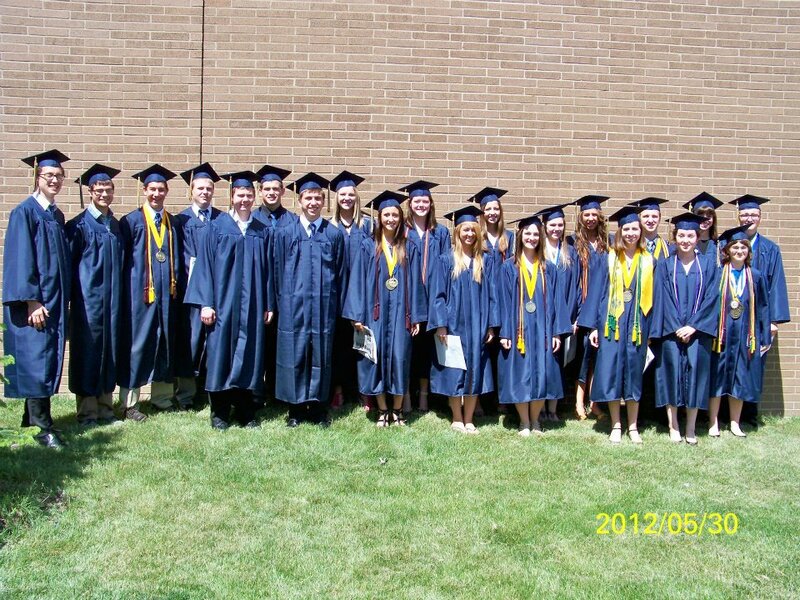 Approximately 60% of Honor’s diplomas awarded to the Class of 2012 were awarded to OFHS student athletes. 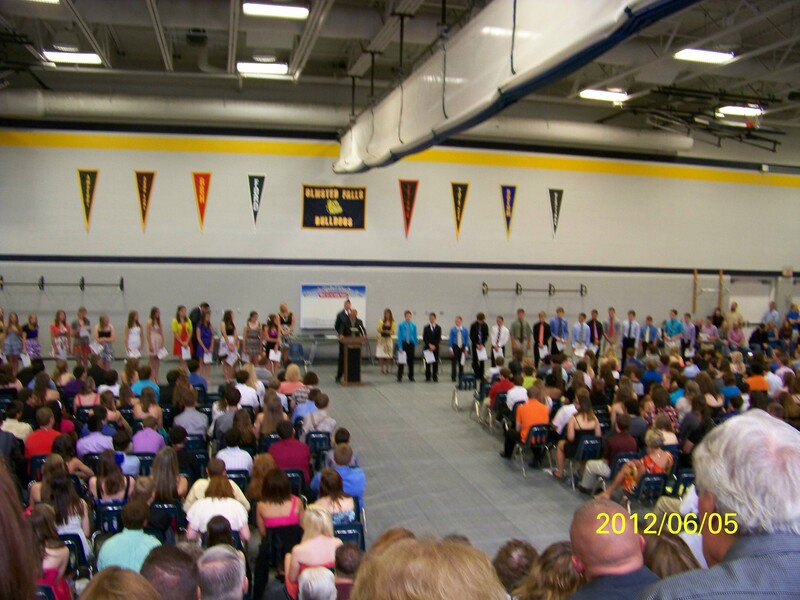 Additionally, 59% of the OFHS “Top 10%” of the Class of 2012 are student athletes. The Olmsted Falls Athletics Department was asked to compile this listing by local media. To review the complete list of Bulldog athletes who received Honors diplomas, and those who were among the Class of 2012’s “Top 10%,” please click HERE. Parents, family and friends joined eighth grade students on Tuesday For the Honors Assembly and Wednesday for the 8th Grade Graduation Ceremony as the students marked the end of their three years at Olmsted Falls Middle School. Congratulations 8th graders! Best wishes for your upcoming freshmen year at OFHS! To view a collection of photos from these events, please click HERE for the Assembly and HERE for the Graduation. An annual end of the year tradition, students at both Falls-Lenox Primary and Olmsted Falls Intermediate Schools enjoyed some fun in the sun thanks to their respective building PTA’s. 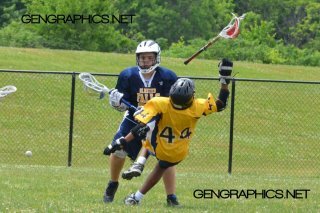 To view photos from Falls-Lenox Field Day 2011, please click here. 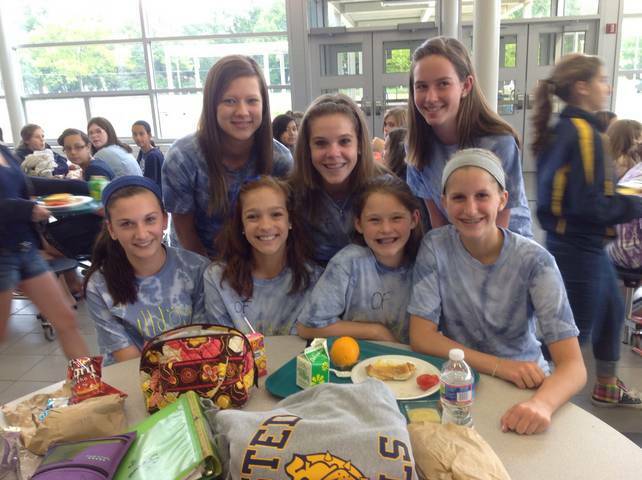 To view photos from Olmsted Falls Intermediate School Field Day 2011, please click here. Congratulations! 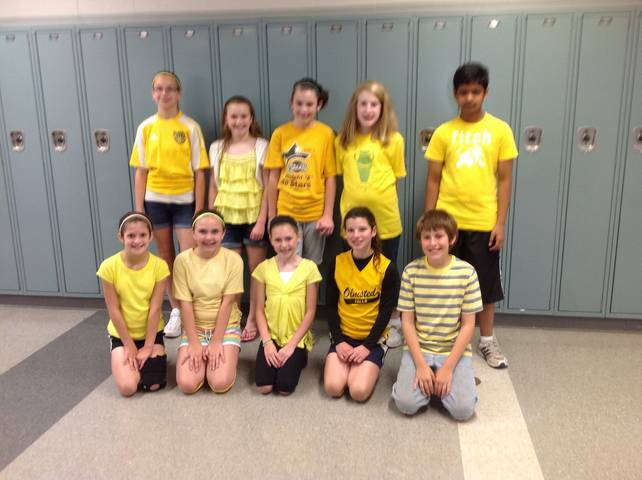 OFMS Power of the Pen team placed TENTH out of 275 schools represented at the State Finals! 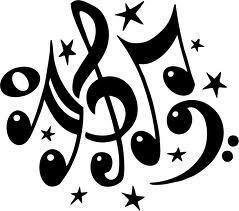 Congratulation to Michael Zahorchak on being awarded Honorable Mention at the state level! 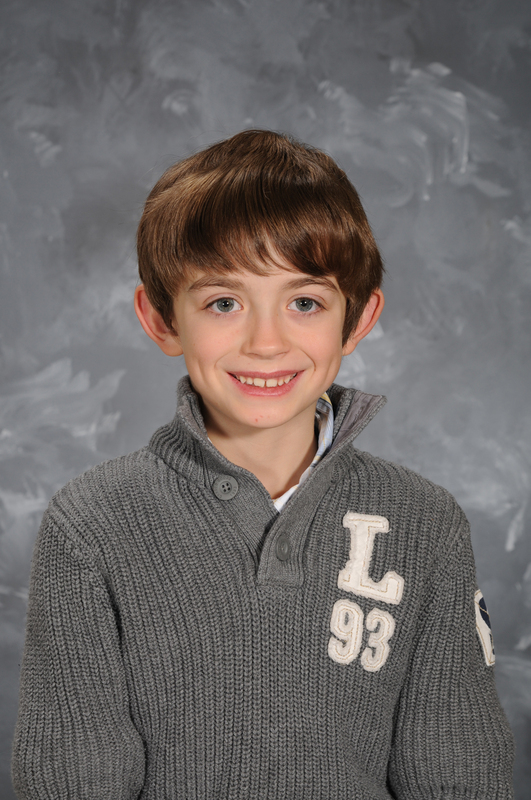 More than 100 Olmsted Falls students participated in this year’s “Reflections” contest. “Reflections” is an annual cultural arts program held through National PTA. Children in preschool through grade 12 are encouraged to create and submit works of art in six areas: literature, visual arts, photography, Dance Choreography, Film/Video and musical composition. The Reflections program allows PTAs throughout the state to recognize children for their creativity in portraying yearly themes. The theme of this year’s contest was “Diversity Means”. One Olmsted Falls student from Falls-Lenox, Michael Zahorchak, was awarded an Honorable Mention at the state level for his artwork. Congratulations, Michael! To view the complete list of local “Reflections” winners, please click HERE. The middle school Student Council has been organizing Spirit Days on the last Friday of each month throughout the school year. This is a great way to promote school pride at OFMS. 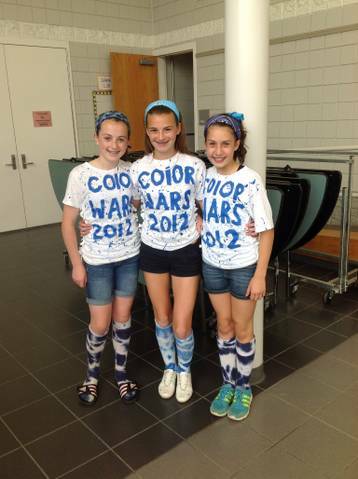 The following are pictures from a May spirit day, COLOR WARS! 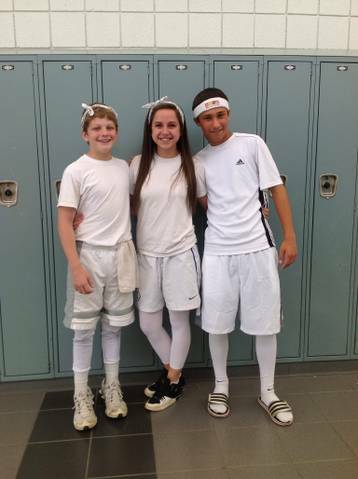 The 8th grade wore white, the 7th grade wore blue, and the 6th grade wore gold. The amount of participation in this event was incredible! FIRST YEAR OF OFHS FILM CLUB A SUCCESS! Approximately 25 OFHS students were inaugural members in the OFHS Film Club, launched this year by interested students under the guidance of high school social studies teacher Mr. John Mercer. Film Club President Alex Martin, V.P. Maggie Englehart, and Officer at Large Alyssa Thompson all helped to lead and organizes activities during the club’s first year. The group met regularly to watch and discuss films. Their screening list included a wide variety of genres spanning many years of film history including Psycho, Singin in the Rain, Shawshank Redemption, 2001 A Space Odyssey, The Kings Speech and Donnie Darko. 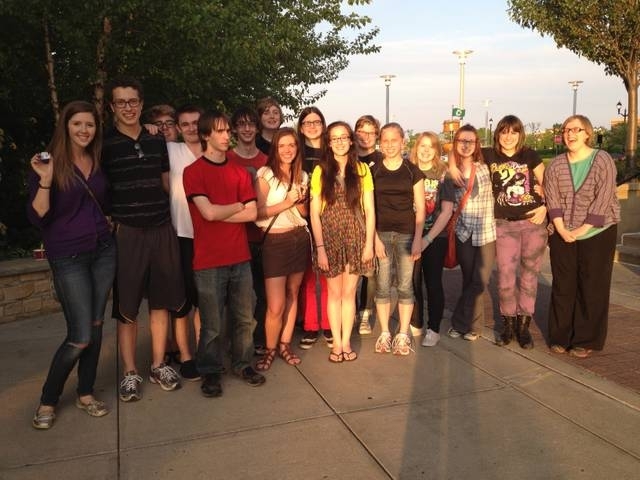 For their final screening of the year, members of the group took a field trip to Crocker Park to watch “The Avengers” on the big screen. Kudos to this creative group of students for turning their love of movies into an interesting club that is sure to grow in popularity. Looking forward to seeing what this group will be up to in year two! Cleveland Magazine’s annual “Rating the Suburbs” issue has just hit newsstands, and Olmsted Falls School District has earned a ranking of 17th among the 57 area school districts rated. The annual survey rates school districts based on a number of categories including ACT/SAT scores, proficiency test results, attendance, graduation rates, number of AP courses offered, National Merit scholars, and more. Congratulations to the staff, students and parents of Olmsted Falls School District for the important part you play in keeping our District excellent! 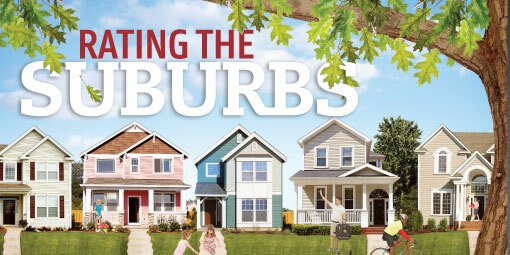 To explore this year’s “Rating the Suburbs” issue of Cleveland Magazine on-line, please click HERE. The Post Prom Committee of the Olmsted Falls High School Class of 2012 wishes to thank school families, community families and local businesses for their generous support of the many fundraisers we have had since August 2011. Over 30 businesses in Olmsted Township and Olmsted Falls alone, along with businesses in Columbia Station, Berea, and North Olmsted donated or discounted items for Post Prom which was held at Olmsted Falls High School on May 20th. Our goal was to provide a safe and fun environment for the Class of 2012 from midnight to 4:00 a.m. after the Prom. The Crocker Park style event was a huge success! The students enjoyed games, shopping, entertainment and food with support from teachers and parents. The utmost thanks goes to the over 35 parents on the Post-Prom Committee who orchestrated this event from inception to clean-up. ATTENTION: Families, friends, and fans of Bulldog art posted on-line at the www.artsonia.com kids’ art museum. So far this year – we’re still not through publishing – our Artsonia team has published over 10,000 pictures for FLPS-ECC! We are currently ranked #2 in Ohio and #3 in the USA. We have a history of being #2 in the USA overall, and #1 in Ohio. We can still move up during June. Our rank improves based on comments, fan clubs, and statements. Please help us climb higher by adding family and friends to fan club, leaving comments, and helping your young artist to leave a statement on this years’ posted work. If you know a friend or relative that would like to join your child’s Fan Club, please ask them to join ASAP. Rankings will continue to be tabulated through June – so we can easily move back into the #1 spot, which we’ve won the last two years. GO BULLDOGS! To visit the Falls-Lenox/ECC postings for this year, please click HERE. Enjoy! The Bulldog Cross-Country Team has just announced that it will be holding its first-ever summer camp for all runners ages 7-14. It will be held at OFHS the week of July 16th. 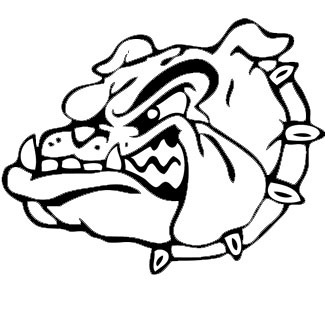 Detailed information on the Bulldog Cross-Country Camp can be found on the District website. 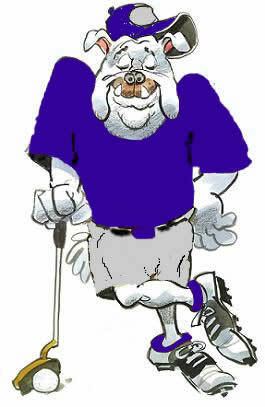 Information on the Bulldogs Tennis Camp (June 11, 12 & 14) and the Summer Weight Room Program have also just been added. 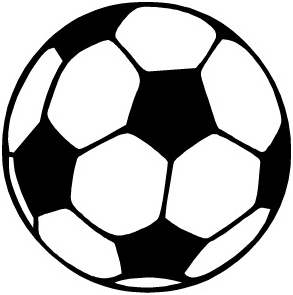 Please click HERE for the latest information on the 2012 Bulldog Summer Sports Camps put on by the Olmsted Falls Athletic Department. 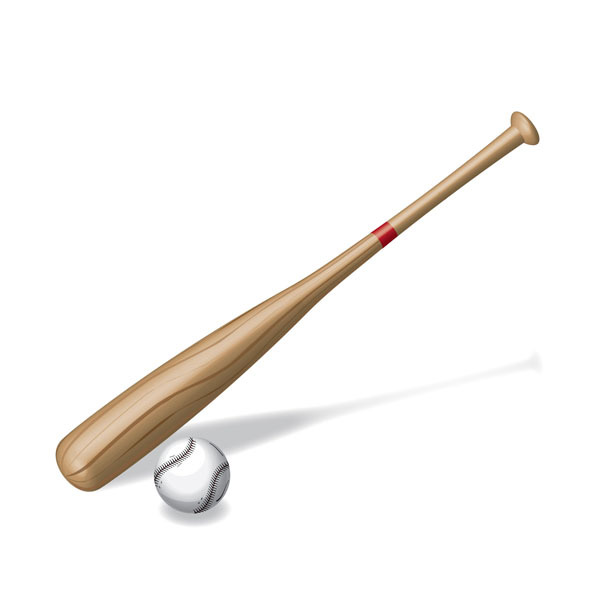 Individual camp dates, registration deadlines, contact information, and links to individual camp information and registration forms are all available on-line. The Olmsted Falls Athletic Boosters learned last week that The Nautica Charity Poker group will be shutting their doors after ten years. As of right now, the newness of the recently opened Horseshoe Casino has basically stopped all traffic from entering the facility. Therefore the fundraiser at Nautica, which had been scheduled for June 28th thru July 1st, has been cancelled. Thank you to those that had already signed up to volunteer. If anyone has any questions or concerns, please contact OFAB Vice President Jim Baldwin via e-mail at jim.baldwin@amgreetings.com. DON’T FORGET – CUYAHOGA COUNTY LIBRARY’S SUMMER READING GAME IS OFFICIALLY UNDERWAY! The Cuyahoga County Public Library’s Annual Summer Reading Game officially got underway last Saturday, June 9thand runs through August 11th. The theme of this year’s game is “Mission Possible: Read.” Be sure your child is registered to participate! 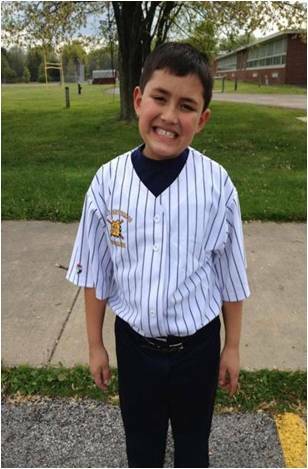 Olmsted Falls School District strongly encourages participation in the Summer Reading Game by all students as a way to maintain and enhance important literacy skills over the summer months. Reading is its own reward, but when students play this year’s “Mission Possible: Read” summer reading game, they can also earn chances to win great prizes from the Cuyahoga County Public Library’s community partners including: Cleveland Cavaliers, Lake Erie Monsters, Cleveland Indians, Rock and Roll Hall of Fame Museum, Cleveland Browns, Great Lakes Science Center, Cleveland Museum of Natural History, Chipolte Mexican Grill, and Cleveland Metroparks Zoo. Visit Cuyahoga County Public Library online for complete details. Stop by our local branch library beginning June 4th to receive a registration gift – while supplies last! For a preview of all summer programs offered by Cuyahoga County Public Library, please click here. Come One, Come All! Relay For Life THIS WEEKEND 2012, June 9th – 10th at Olmsted Falls High School: Bring your family and friends to our 3rd Annual Relay For Life of Olmsted Falls! We have a huge line up of free entertainment! This community carnival has 24 hours of games, prizes, fireworks, and amazing activities and food! Won’t you make a difference with our 450 participants and thousands of guests? Come to support the cause! We hope to see you from noon to noon at the high school stadium on June 9th and 10th! GO RELAY!